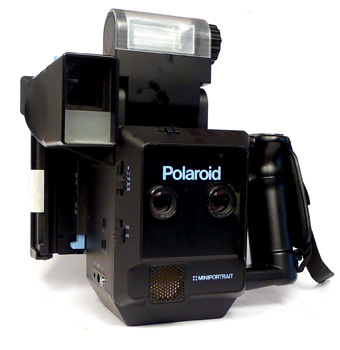 Which Polaroid cameras to use at weddings. Uses 600 type film from "The Impossible Project". >> reliable and strongly built. >> relativeley recent camera produced in the 1990's. >> ideal for holiday pictures, parties or weddings. >> allows pictures with or without flash. >> uses the more sensitive 600 ISO films allowing photography in dull weather. >> green light when flash ready loaded. !! pictures take about 30 minutes to be fully developed. 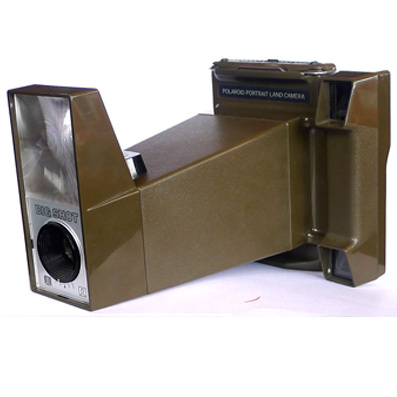 The legendary portrait camera used by Andy Warhol for his famous portrait series. Ideal for portraits of single persons or couples. Works with Magicubes flash cubes and 100 ISO FUJI FP-100C Films. Please note that all cameras have broken T-handles. See photo gallery for photographs taken with this camera. >> easy and cool to use. >> amazingly good quality portraits. >> ideal for portrait pictures at parties or weddings. >> uses the film FUJI FP-100c. >> pictures fully developed after 2 minutes. !! needs the use of Magicubes. Two focal distances 1.92M and 1.2M. with sonar fine adjustment. F stops are 8 to 32. Shutter speeds 1/60 and 1/125. Selector switch for taking 2 different pictures or 2 identical pictures. 6 volts DC socket for AC adapter. 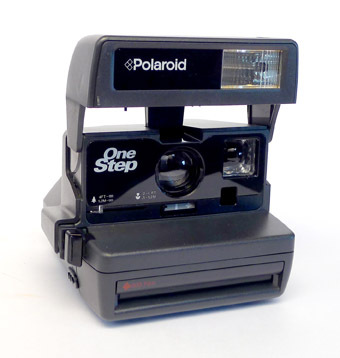 With removable Polaroid film holder model 73A. >> uses the relatively cheap film FUJI FP-100c. >> can make unique souvenir cards for each person. We personally used them at a wedding and presented to each participant on the dining table a small card with their pictures stuck inside it. The second copy was for the wedding album.